tel 503-845-9499 • fax 503-845-9202 • www.mtangelpub.com 401 Oak St., Silverton, OR 97381 • P.O. Box 927 • Mount Angel, OR 97362 Publisher: Paula Mabry | Advertising Executive: Maggie Pate Project Manager: Tavis Bettoli-Lotten | Cover Photographs: Jim Kinghorn Wooden Shoe Tulip Farm. Insets: Mount Angel Oktoberfest, Silver Falls State Park & Silverton Pet Parade. All material © 2019 Mt. 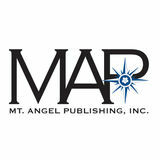 Angel Publishing, Inc. and/or its respective owners. Reproduction without written permission of the publisher is prohibited. Due to the passage of time and the anomalies inherent in the publishing process, we cannot be responsible for errors or incorrect information. Every Friday, 10:30 am. Story and activity time for tykes. World of Speed, Wilsonville. March 9 - 11. Old Aurora Colony Museum. Working spinning wheels on display, presented by Aurora Colony Handspinners’ Guild. auroracolony.org. We are now serving prime grade Snake River Farm steaks – dry-aged in-house for at least 28 days. Featuring German and fresh Pacific NW cuisine daily specials. Enjoy our lottery parlor for all your gaming needs. Everyone is welcome! An active 55+ retirement community. WELCOME to the North Willamette Valley. We invite you to visit Grandview to preview our unique retirement community for active 55+ individuals. Single story homes from 900-1300 sq ft. Rent includes ALL utilities. New homes currently in construction, call for availability. House B Settlemier 355 Settlemier Ave., Woodburn. Falls State Park L Silver 20022 Silver Falls Hwy., Sublimity. 15018 Second St. NE, Aurora. auroracolony.org. Five-building museum complex preserving Aurora’s heritage. 869 W. Main St., Silverton. thegordonhouse.org. Open to reserved tours, this is Wright’s only building in Oregon. settlemierhouse.com. See page 16 for more info. Woodburn. See page 17 for more info. 2600 Center St. NE, Salem. oshmuseum.org. Located on the Oregon State Hospital campus. 455 N. Front St., Woodburn, woodburn-or.gov. Open Sundays. See page 17 for more info. State Capitol N Oregon 900 Court St. NE, Salem. oregonlegislature.gov. Home of the Golden Pioneer, the capitol mall, and WWII memorial. See pages 18-19 for more info. 1313 Mill St. SE, Salem. willametteheritage.org. A five-acre historical experience. 500 S. Wilco Highway. elaineannendollmuseum.com. See page 14 for more info. Enjoy the Abbey museum and library, and stop by the bookstore and coffee house, 9 am to 4:30 pm. mountangelabbey.org. See page 19 for more info. House Museum Q Bush 600 Mission St. SE, Salem. salemart.org. See page 22 for more info. between Downs and Hobart Roads, off Hwy. 214. Buit in 1916 near a moonshine operation. Self-guided walking tours are available. 1116 Mission St. SE, Salem. deepwoodmuseum.org. 1894 Queen Anne-style house and grounds. Angel Abbey G Mount 1 Abbey Dr., Saint Benedict. Visit the historic Abbey church and pray with the monks. oregonstateparks.org. See page 14 for more info. Host your next event at the Gordon House, Frank Lloyd Wright's only building. in Oregon. A state treasure located in Silverton in the heart of the Willamette Valley. Dinner parties, intimate weddings, wine tastings, business meetings, receptions, family reunions, concerts, and other gatherings. Private events, guided tours, or group and school tours can be arranged all year by reservation. Historic buildings are home to restaurants, cafés, bars, breweries, theaters, shops and galleries. 8239 Champoeg Rd. NE, St. Paul. oregonstateparks.org. Oregon Country’s provisional government first met here in 1843. S Heritage Park 3995 Brooklake Rd. NE, Brooks. antiquepowerland. com. See page 14 for more info. A self-guided tour of Historic Aurora. Pick up your free guide at The Old Aurora Colony Museum or in Aurora shops. HERITAGE PARK 14 museums celebrating the machines, people, and power that drove Oregon history for over 100 years! 1840 Wheatland Rd. NE, Gervais. oregonstateparks. org. This site is one of the first colonial settlements in the Willamette Valley. From Canby and Oregon City on down to Silverton and Aumsville our boutique, family-owned wineries are just around the corner... but a world away. Casual tasting rooms, historic farms, stunning landscapes and world class wines. First, we grow the grapes. Crafting wine starts in the vineyard. Our family farms and wineries have a deep connection to Oregon agriculture and our history here is palpable. 11900 S. Criteser Rd., Oregon City. 503-780-6200. villacatalanacellars.com. 11603 S. New Era Rd., Oregon City. 503-505-6873. kingsravenwine.com. Christopher Bridge Wines 2770 S. Casto Rd., Oregon City. 503-263-6267. christopherbridgewines.com. 15640 S. Spangler Rd., Oregon City. 503-632-9463. forestedgevineyard.com. 21338 Oak Ln. NE, Aurora. 503-678-3390. auroracolonyvineyards.com. 21690 Main St. NE, Aurora. 503-678-3131. pheasantrunwine.com. 28836 S. Barlow Rd., Canby. 503-651-3190. stjosefswinery.com. 29510 S. Barlow Rd., Canby. 971-338-9142. whiskeyhillwinery.com. Wooden Shoe Vineyards 33814 S. Meridian Rd., Woodburn. 503-634-2243. woodenshoe.com. A little less crowded, a little less stuffy. The most important thing: enjoy yourself. Uncongested country roads make access to our wineries easy and enjoyable. Oh, we have award winning Pinot Noirs... but the Cascade Foothills have an astounding diversity of varietals from which to choose. Every palate will find its match. 34948 S. Barlow Rd., Woodburn 971-338-9760. hansonwine.com. Alexeli Vineyard & Winery 35803 OR-213, Molalla. 503-829-6677. alexeli.com. 6685 Meridian Rd. NE, Silverton. 503-873-9800. vitisridge.com. 4972 Cascade Hwy. SE, Sublimity. 503-769-5056. silverfallsvineyards.com. 6654 Shaw Hwy. SE, Aumsville. 503-749-4125. pilusowines.com. HOURS May-Nov Sat/Sun 12-5 p.m. Dec-April Sundays 12-5 p.m.
A Swan Island Dahlias 995 NW 22 Ave., Canby. dahlias.com. 211 which bloom in the Spring. A small display garden on the Willamette University campus along the Mill Race. 3625 Quinaby Rd. NE, Keizer. schreinersgardens.com. 7185 Lakeside Dr. NE, Salem. sebrightgardens.com. 80 acres, 20 specialty gardens: rose, conifer, children’s, Lewis & Clark, medicinal, Northwest, tropical house, plus wetlands and outdoor art. 5690 Brooklake Rd. NE, Salem. peonyparadise.com. vivid rose garden. The Bush House conservatory is the state’s oldest greenhouse. The grounds include the Formal Garden, Yew Park, and a greenhouse. 6219 Topaz St. NE, Brooks. brooksgardens.com. 1116 Mission St., Salem. deepwoodmuseum.org. 12989 Howell Prairie Rd. NE, Gervais. baumanfarms.com. Martha Springer Botanical Garden 900 State St., Salem. 1220 N Pacific Hwy., Woodburn. als-gardencenter.com. 33814 S. Meridian Rd., Woodburn. woodenshoe.com. Blooming: late March – late April. Open: late March – October. 27490 SW 95th Ave., Wilsonville. worldofspeed.org. Education and entertainment through motorsports. 29111 SW Town Center Loop W., Wilsonville. woodburndragstrip. com. 6-acres of fun! Kidopolis Playland, zipline, go karts, minigolf, bowling, and much more! 3 Woodburn Dragstrip 7730 Hwy. 219, Woodburn. woodburndragstrip.com. National Hot Rod Association-affiliated, 1/4 mile track. 12989 Howell Prairie Rd., Gervais. baumanfarms.com. Playground, farm animals. 33814 S. Meridian Rd., Woodburn. woodenshoe.com. Seasonal cow train, play area. Garden 7 Oregon 500 S. Main St., Silverton. oregongarden.org. Visit the Children’s Garden. More info on page 21. 879 W. Wilco Hwy in Mount Angel Festhalle. elaineannendollmuseum.com. A collection of over 500 vintage and modern dolls. 6700 Field Of Dreams Way, 219 Keizer. volcanoesbaseball.com. San Francisco Giants Class A baseball farm club. 20024 Silver Falls Hwy. SE, Sublimity. oregonstateparks. org. Oregon’s largest state park. 30+ miles of hiking trails including the breathtaking Trail of Ten Falls. Hiking and riding opportunities. Historic lodge, playground, activities and more. 3995 Brooklake Rd. NE, Brooks. antiquepowerland.com. Home of 15 unique equipment museums including the Oregon Electric Railway Museum. 101 Front St. NE, Salem. salemcarousel.org. Ride on this traditional carousel carved by local artisans. 116 Marion St. NE, Salem. acgilbert.org. Hands-on Wallace exhibits and interactive Marine activities, indoor and Park outdoor. 190 Oak St. swimwoodburn.com. Indoor pool with water slide, spa, and sauna. 6 wWoodburn yE Public Library H E Hwy 280 Garfield St. woodburn-or. with all levels in mind, this is the home course of the Oregon Golf Association. Non-members welcome at this 18-hole course. settlemierhouse.com. Jesse H. Settlemier’s 1892 Victorian craftsman house with gazebo. House 4 Settlemier 355 N. Settlemier Ave.
woodburndragstrip.com. A 1/4 mile dragstrip offering competitive motorsport events throughout the year. 1001 N. Arney Rd. premiumoutlets.com. 110 designer brand name stores, with no sales tax. Dragstrip 1 Woodburn 7730 Hwy. 219. Cleveland St. at Railroad Ave. A restored 1902 steam locomotive. 455 N. Front St. woodburn-or.gov. Open Sundays. Pioneer, Latinx, and Russian Old Believer history is explored, along with one of Woodburn’s original cinemas. Garden & Home 9 Al’s 1220 N Pacific Hwy. als-gardencenter.com. A Woodburn fixture since 1948, this 6-acre garden center n NE specializes inKahut its Lnursery plants and garden accessories. 33814 S. Meridian Rd. woodenshoe.com. World famous for its spring tulip blooms, the farm is open all year round with a gift shop and wine tastings. 12989 Howell Prairie Rd. NE. baumanfarms.com. This century farm has a nursery, its own produce, country store, garden center, and cidery. This care facility was built by the Sisters in 1957 and is now operated by Providence Health & Services. Nicholas Schmaltz’s original warehouse has seen many additions over the last 100+ years, including a grain elevator operated by Wilco. Now occupied by Blackbird Granary Antiques & Curiosities and other businesses. emigrating from Switzerland, the Benedictine Sisters founded their monastery in 1888 – and still serve today. Gift shop open. Willamette Valley Railway Wilco Hwy. near Garfield St. The Willamette Valley Southern Railway electric line took travelers between Mount Angel and Oregon City, 1915 – 1925. Mt. Angel Creamery & Ice Co. SE corner Church & Garfield streets. Operating from 1912 – 1969. One of the buildings still stands as part of Mt. Angel Vitamins – across the street from Mt. Angel Sausage Co. Regular Hours: 11am-3pm 1st & 3rd Fridays • 2nd & 4th Saturdays or by Appointment. A collection of over 500 antique to modern dolls. The fourth parish church – and second on this site – is a GothicRevival masterpiece that was completed in 1912. Constructed in 1921 as a Catholic school, now St. Mary’s Public Elementary School – rebuilt in 1997. The Glockenspiel Constructed in 2006 above the eponymous authentic-German restaurant, this musical timepiece celebrates Mount Angel history daily: 11 a.m., 1, 4 and 7 p.m. The Saalfeld House 195 E. College St.
NW corner of College & Main streets. A look at the oldest known photograph of downtown Mount Angel, taken in 1898. Southern Pacific Railroad Depot 90 E. College St.
Bank of Mt. Angel 95 N. Main St. Founded in 1905, the Bank operated into the 1930s. Now occupied by Old Stone Coffee & Collectibles. A tribute to the trades and services that built Mount Angel. Built in 1900 to serve as a neighborhood goods store, it was operated by the Ebner family until 1979. Now occupied by Mt. Angel Mercantile, a décor and gift shop. A small piece of our own paradise. SE corner of Charles & Garfield streets. The Palmer House Site of the 1853 land claim by pioneer and Mount Angel’s first school district director, John Henry Palmer. Built in 1902, later operated by the Weissenfels Bros., some of the original equipment remains inside. Now occupied by Touch of Bavaria imported clothing shop. St. Mary’s School 590 E. College St. The Mount Angel Heritage Trail is a walking tour of historic markers with archival photographs. 10,500 copies delivered FREE twice a month to all Silverton, Mount Angel & Scotts Mills residents. Stations of the Cross walkway continues to Mount Angel Abbey. A bistro-style restaurant. in Historic Silverton. proudly offering a local, seasonal menu. 879 W. Main St. oregongarden. org. An 80-acre botanical garden featuring more than 20 specialty gardens, the Rediscovery Forest, amazing water features, garden art, wetlands, and Resort. 428 S. Water St. silvertonmuseum.com. Homer Davenport’s political cartoons, train depot, and WWII lookout. 869 W. Main St. thegordonhouse. org. See page 8 for more info. on Map. Galleries, antique shops, restaurants and cafés, a dance studio, and the art-deco Palace Theatre are hallmarks of Silverton’s downtown. 426 S. Water St. silvertonchamber.org. Come on by to ask questions on more local activities. 601 Miller St. theyonline.org Open year-round. 300 Coolidge St. Pavilion, playground, walking paths, creek access, and restored splash fountain tell the story of this century old, forested park. 4381 Silver Falls Drive. silverton.or.us. Fishing, boating, hiking. $2/vehicle day use fee. House Bridge I Gallon Gallon House Road. See page 8 for more info. Silver Falls Timber Co. • Hwy. 214 near Jefferson St.
Norman Rockwell’s Four Freedoms • 990 N 1st St.
Orville Roth, Grocer • 918 N. First St. The Mammoth Camera • 441 N. Water St.
Norma Jean Branstetter • 1301 N. Water St.
Davenport’s Arabian Quest • Wolf Bldg., Water St. The Veteran • 207 E. Main St. The Old Oak Tree • 213 E. Main St. The Town That Still Believes • Main & Fiske St.
Homer Davenport, Cartoonist • 205 S. First St.
Canyonview Camp • 204 Oak St.
Paws for Love • 306 Oak St.
Silverton Pet Parade • 600 First St.
9/11 & American Wars Memorial • 500 West C St.
Silverton Red Sox • C St. near James St.
Our Twentieth Century • C St. near James St.
Doug Brown, Cowboy • C St. and Silverton Rd. SILVERTON’S FARM TO TABLE DINING Serving a seasonally focused menu since 2000. Open for dinner, Thursday through Sunday. Gift Shop 1 Capitol 900 Court St. NE. Located inside the Oregon State Capitol building. 700 State St. Salem. willamette.edu/arts/hfma. Permanent galleries of Asian, European, Native American, Modern, and regional art at Willamette University. 1313 Mill St. SE. willametteheritage.org. Explore the past, tour the Thomas Kay Woolen Mill, and the oldest timber-frame structures in the state on this 5-acre campus. 1116 Mission St. SE. deepwoodmuseum.com. Queen Anne Victorian house on 4.5 acres of manicured and historic gardens. 600 Mission St. salemart.org Three galleries; gift shop showcasing regional artists. 600 Mission St. This 90-acre city park includes an 1878 Victorian house museum, conservatory, public rose gardens, playgrounds, and trails. 392 Liberty St. SE. A space where stories and cultural artifacts from members of Salem’s diverse community can be enjoyed. Free admission. 170 High St. SE. Restored 1922 theatre with Shakespearean décor presenting live performances and classic movies (including a Mighty Wurlitzer Organ for silent movie screenings). 101 Front St. NE. salemcarousel. org. Old-world style carousel housed in a beautiful building on the banks of the Willamette with gift shop and party room. Beautiful and grand buildings offering myriad dining options, bars, shops, and entertainment. Globe 10 Eco-Earth Riverfront Park near Front St.
A 27 ft. mosaic globe created by local artists and students in 2003. 116 Marion St. NE. acgilbert.org. Salem’s children museum offers year-round fun with indoor and outdoor interactive exhibits in the sciences, arts and humanities. 2200 Minto Island Rd. cityofsalem.net. This 1200-acre natural park with 19 miles of paved and soft-surface walking/ bike trails offers views of the Willamette River, plus a huge dog park. Accessible from River Rd. South by car and from a pedestrian bridge from Riverfront Park. Open 5 am to midnight. Front & Union Streets. Salem’s historic bridge provides a halfmile link between Riverfront Park in downtown and Wallace Marine Park in West Salem. Breakfast & Lunch Kid Stuff Menu • Senior Menu Burgers & Sandwiches Soups & Salads Something for Everyone! Streets with no arrows indicate two-way with no traffic pattern changes.